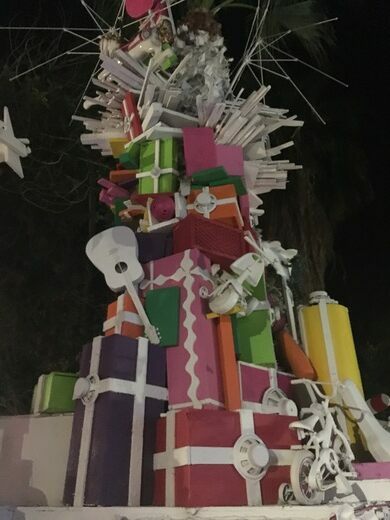 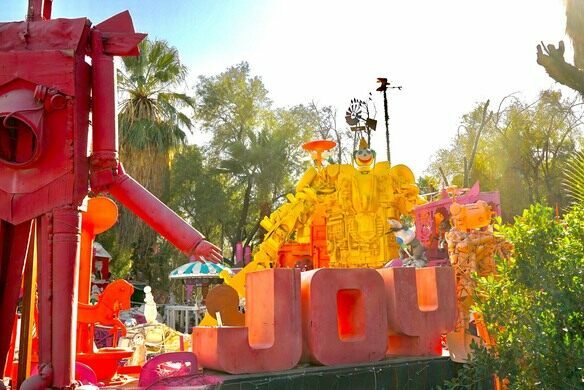 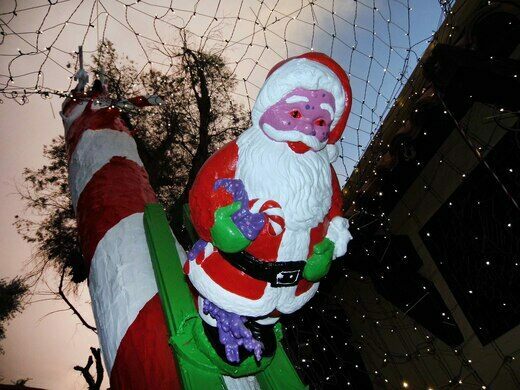 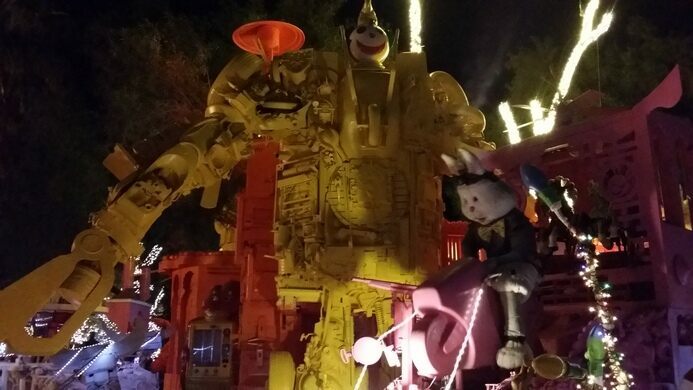 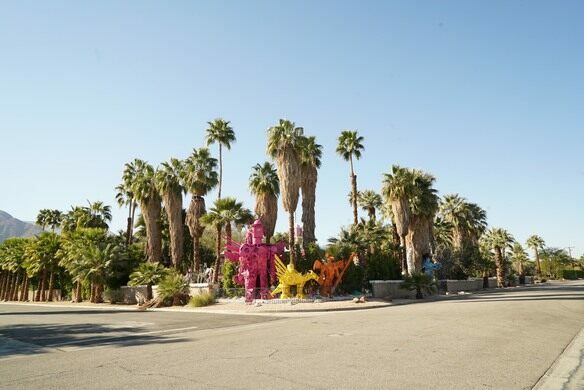 Towering robots and strange Christmas scenes constructed from discarded electronics swarm this Palm Springs estate. 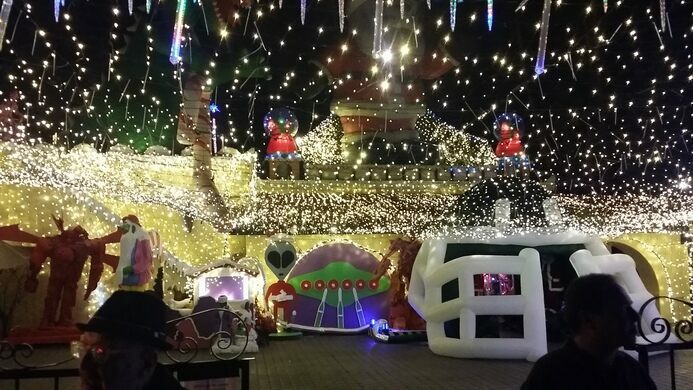 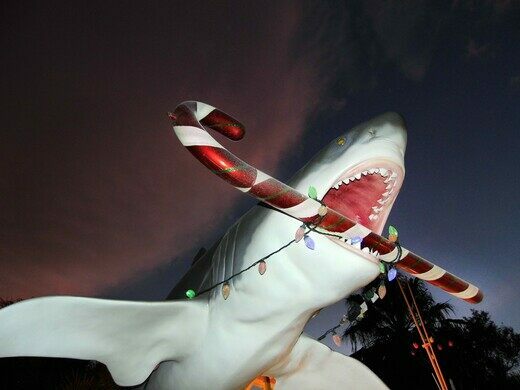 Since 1986, Kenny Irwin Jr. has been building the sci-fi holiday spectacle which has turned into a year-round event viewable from the street, although it’s during the winter season that Robo Lights really comes to life with millions of lights and public access to the whole celebration. 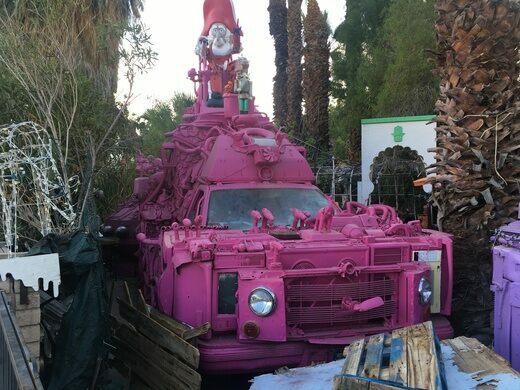 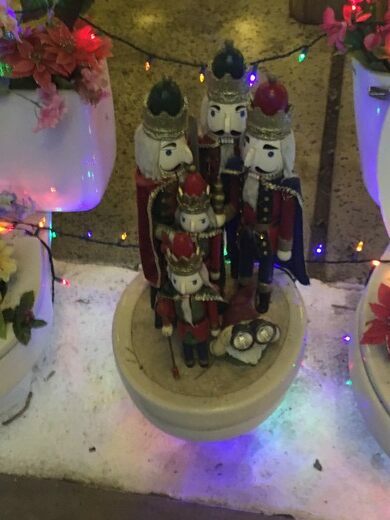 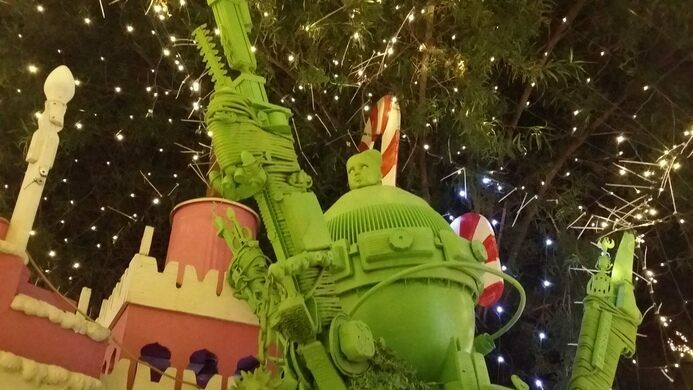 There’s a post-apocalyptic scene with “nuclear elves” in the tennis court, and Santa’s sleigh, aka his “battle wagon,” is pulled by a team of 12 robotic reindeer, while nearby the wise men come laden with microwaves. 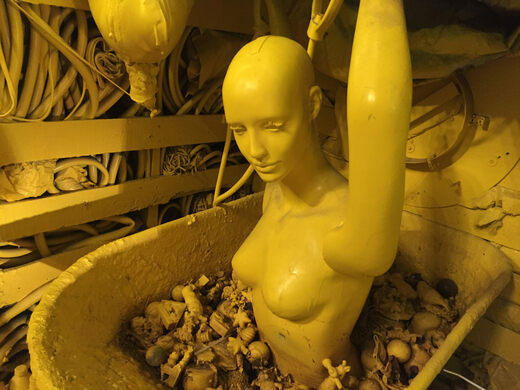 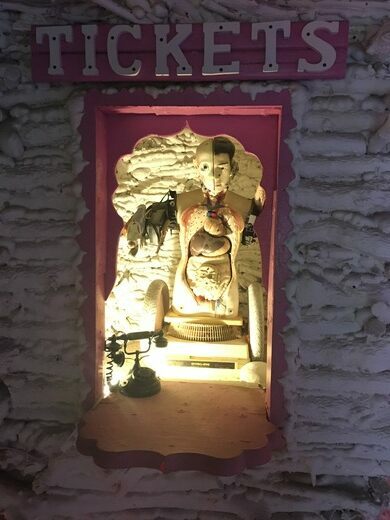 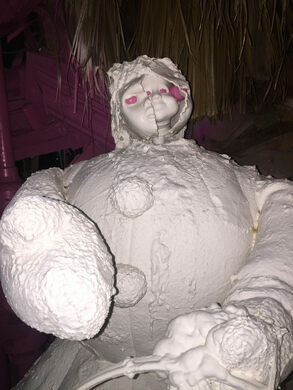 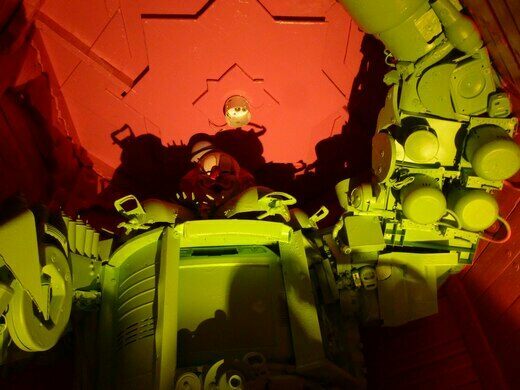 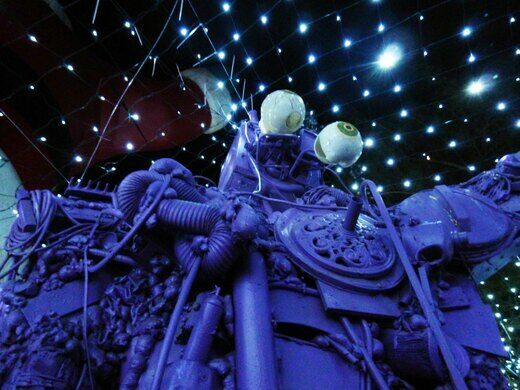 One robot stands 50 feet tall, and others have microwaves or other bits of found materials embedded in their chests in this ever-growing alien landscape of outside art. 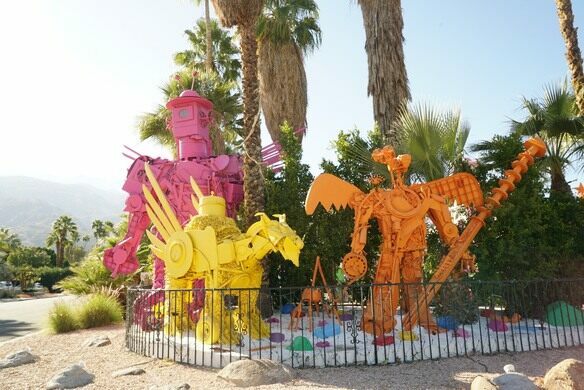 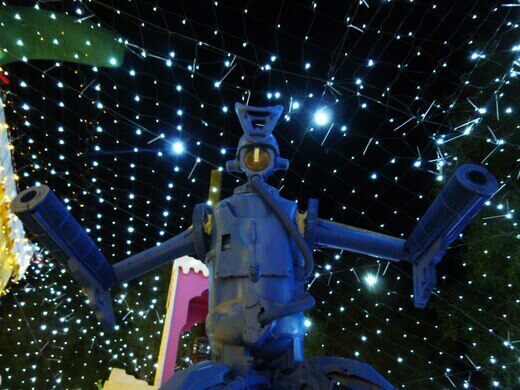 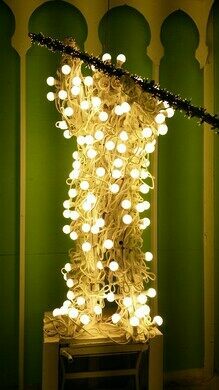 Located in a very residential part of Palm Springs, Robo Lights is in/around the 1077 Property. 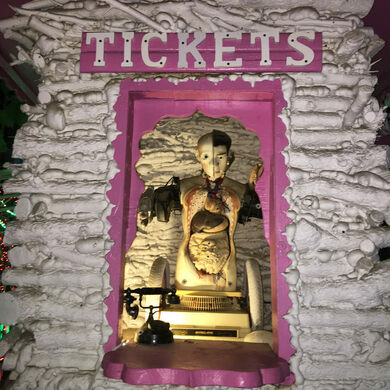 Tours of the grounds by appointment only.